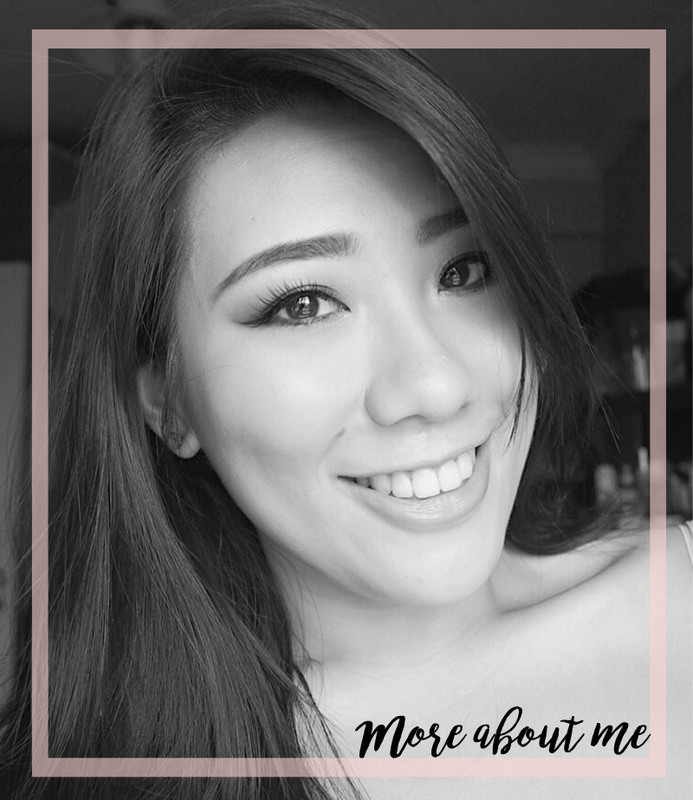 Finally, I'm back with my favourites for the month of April! I have not had a monthly favourites for a while now as I didn't have many new and loved items recently. However, I pushed myself out of my comfort zone and regular routine to start trying new items. Be it new products or items that I've dug up from my makeup collection, these new found loves are now seated permanently on my vanity. I got this bronzer (in shade 30 sunloved) when I was in Europe but I’m pretty sure I saw this in our local drugstores too! This is a shimmery bronzer, but I find that once applied lightly to the skin, it gives my skin such a radiant bronzy glow without making me look shiny or greasy. It leaves a sheen on the skin, a nice kiss of sun without looking orange or muddy. This does have a coconut scent to it which may or may not appeal to you, but I quite like it. Sometimes when I’m feeling lazy or in a rush, I’ll just dip a tapered blending brush into this and blend it all over my lids for some subtle definition as well. A lovely shimmer bronzer at such an affordable price tag. I bought this brush a few months ago and have been using it ever since. However, not for highlight but rather for blush. I find that this has the perfect length and density of bristles to give a natural flush to the cheeks. It fits nicely on the apples of my cheeks and the bristles are flimsy enough to allow for a good blend. This can work for more precise application for bronzer as well, since the brush isn’t too small nor wide. I haven’t been using any other brush for blush since (I really should, as I badly need to wash this!) and this was below SGD 4 on iHerb! Get yourself one. Or a ton. I know, this highlighter has been mentioned here and there and the hype is intense on this one. But I have to say, the hype is so real. 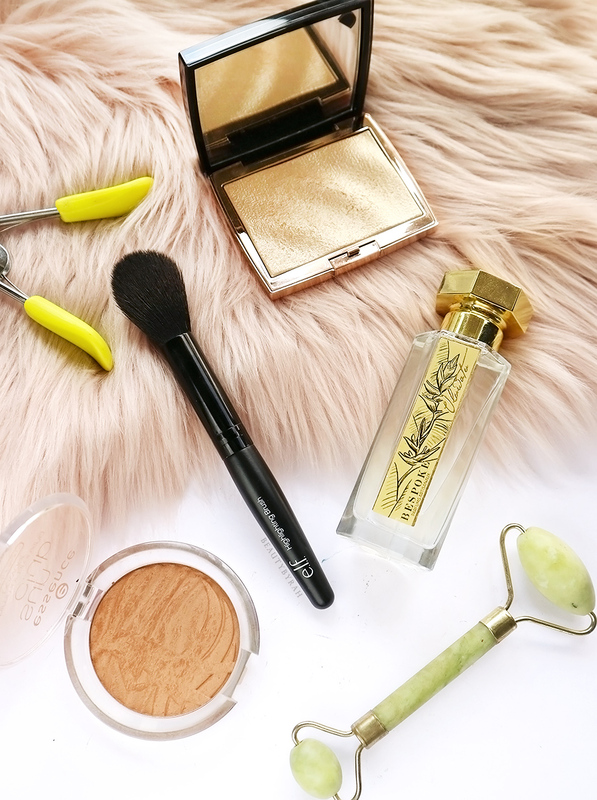 This highlighter is the perfect shade - not too gold, not too warm and not too cool. The formulation of this is really unique to me too, as I don’t think I own one that feels the same way. This one almost doesn’t give any powder kickback and does not feel creamy nor powdery to the touch. The texture is really difficult to explain! My favourite way of using this is by dipping my dampened beauty blender into it and then dabbing it onto my cheeks. The sheen it gives in one application is pretty natural, and can be built up to something that can be detected from space. A truly versatile highlight that I think should be in everyone’s collection! I got mine for USD 28 off Beautylish. I am so glad that I chanced upon this local perfume brand when I was strolling around the store Naiise. All of the brand’s perfumes are hand-blended and made with raw, ingredients. What attracted me was actually the price. This costs SGD 38 for 50ml! Super affordable and after sniffing everything, I was drawn to the scent, Uluwatu, The top notes for this scent are Pineapple, Mandarin, and Papaya, middle notes are Peach and Candy with the base notes of Coconut milk, Sandalwood, Musk. How unique! This smells like mango lassi and it smells incredible. The scent is personally uplifting and it does last a good amount of time on my skin. I do recommend giving this a whiff whenever you're at Naiise as this is extremely unique. For the affordable price tag as well, this is definitely something to check out. You can also check it on the Naiise website. I do suffer from dry undereyes and when they aren’t sufficiently hydrated, they will crease like crazy when concealer is applied. A little of this eye cream goes a long way and while I am not a fan of it being in a jar, I usually just lightly dip my finger in and that amount is sufficient for both eyes. You can opt to use a spatula if you’re more hygienic but since this is for personally use, it's alright for me. This eye cream works so well in hydrating my delicate and dehydrated under eyes! The skin under my eyes can even get quite uncomfortable sometimes, as my eye area would feel tight but after a little dab of this, I am good to go. I do find that it works well to prep the eyes for concealer and powder after as the added hydration aids in plumping the skin and reducing the appearance of fine lines and creases. After using this for about two months now, I would say that I still have 2/3 of the jar left so while it may be pricey, this little jar can last a pretty long time. Innisfree recently expanded their green tea range and also reformulated their popular green tea seed serum. The one product that caught my eye was this Green Tea Mist (micro version as they have two). I love face mists and nothing is more refreshing than spritzing my face mid day (or a good old cup of ice coffee works too). The mist on this is extremely lightweight and so so so fine! I can’t even feel the mist on my skin whenever I spray it. This works nicely atop makeup as it helps to the powders to settle into the skin without leaving any splotches which we then have to blend out. The scent on this is refreshing as well and I do enjoy spraying this after my makeup routine and mid day as a perk me up. This retails for SGD 23.90 for 120ml which you can check out at Innisfree outlets or the Innisfree website here. Recently, I had the pleasure to learn more about antioxidants, its purpose, extraction process, and effectiveness with Renovatio. Besides their antioxidant powder which I do try to drink daily, I am in absolute love with their mosituriser, Apskin. This moisturiser is rich with activated phenolic antioxidants (these are said to be the strongest antioxidants because they destroy the largest number and greatest ranged of free radicals and are found exclusively in Renovation products) that are extracted from just one source - Australian apples, and it smells so fresh and sweet (not in anyway overpowering). I highly recommend reading up more on phenolic antioxidants as I'm not the best to explain the science behind it! This moisturiser also does contain a technology that senses and customises the level of hydration according to the skin's needs. I notice that this moisturise hydrates my skin really well and I usually use this in the mornings as antioxidants are great for protecting your skin when you start the day! For starters, antioxidants helps the skin by producing valuable anti-inflammatory results by increasing circulation and cell metabolism, firm the skin and plumps the skin to reduce the appearance of wrinkles. It can also help in reducing the appearance of scars and treating sun damage. 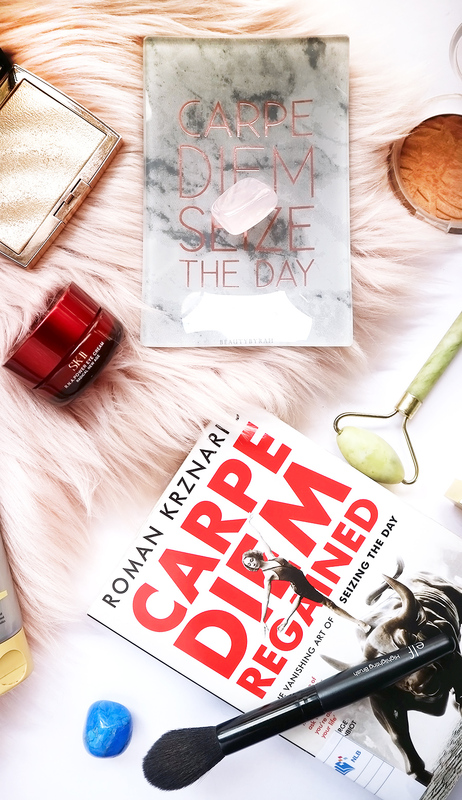 This cream's potential in delivering the antioxidants to the skin is the best I've seen so far and I have been thoroughly loving how this creams blends and feels on the skin so far. This retails for SGD 49 for 100ml and you can check it out on the Biovida website. 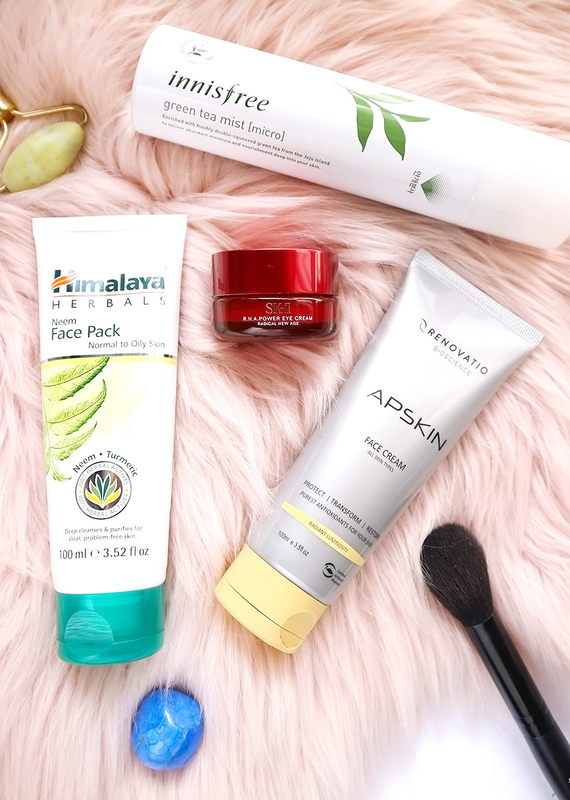 As I really do enjoy the Himalayan Neem Scrub (as mentioned in my January Favourites post), I thought I would also give the Neem and Turmeric Mask a try. This is a clay mask that incorporates Neem (known for its antibacterial properties), Fuller's Earth (excellent cleanser that removes deep-seated dirt and skin pollutants) and Turmeric (has strong anti-inflammatory properties), which work together to help regulate excess oil secretion, clean clogged pores and prevent the recurrence of pimples. This masks works so well in removing the gunk from my skin and my skin feels so soft after. I enjoy using this once or twice a week to help cleanse the skin thoroughly to prevent any potential breakouts. Despite it being a mask meant for acne and oily skin, this does not dry out my skin like some other leave on masks. This is pretty affordable and worth a try! You can check it out here. I’ve been seeing jade rollers everywhere and I managed to find one on Lazada for less than SGD 3 (here) to try out. I’m sure that considering the affordable price tag on mine, my rollers probably aren’t real jade but that doesn’t bother me too much. If you do believe in the healing properties of the jade crystal (which is said to help even the skin tone and calming the skin), I recommend getting from a more trusted source. For me, I really wanted to see and feel what the hype is about. I’ll be honest, I only got my roller half way through April but I’ve been using this every night and it just feels so relaxing! I follow the lymphatic drainage facial from Gothamista (here) and I treat it as some self care time. It feels especially good when I roll from between my eyebrows to my temples (all that frowning I do doesn’t help)! Personally I can’t attest to this roller aiding in absorption of product or if it does lift the face just yet, but I love it as a little massage treat for the face. I loved this book. Carpe diem, or widely known as seize the day, has been on tons of tumblr inspired decor and this book really breaks it down by discussing its history and what exactly prevents us from carping that diem. Despite years back in history to Horace who coined this term in his poem, the book was an easy read as the author broke it down into digestible tidbits. A great way to understand more about the pervasive phrase that inspires so many to get up and hustle! 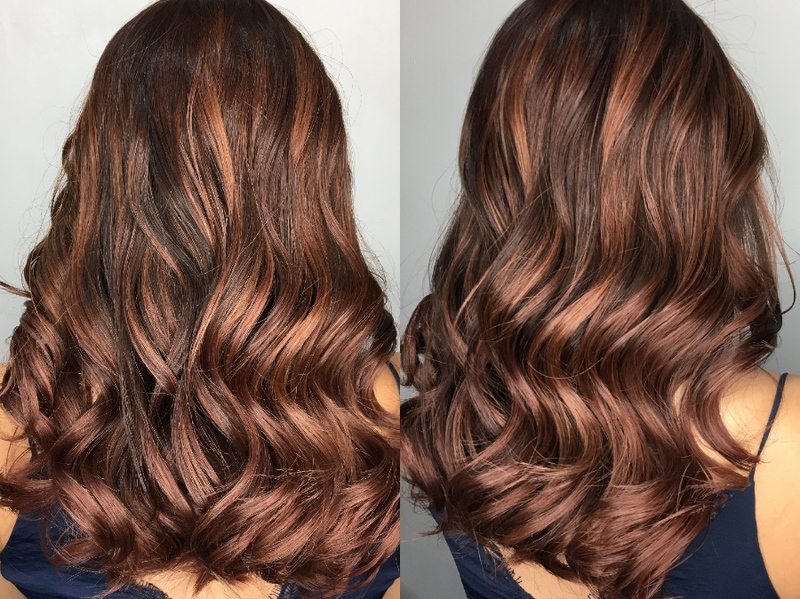 Recently, I visited Chez Vous to try out their #RightColourMatters Analysis where an experienced hair stylist will match a colour tone to your skin tone for the most flattering results. 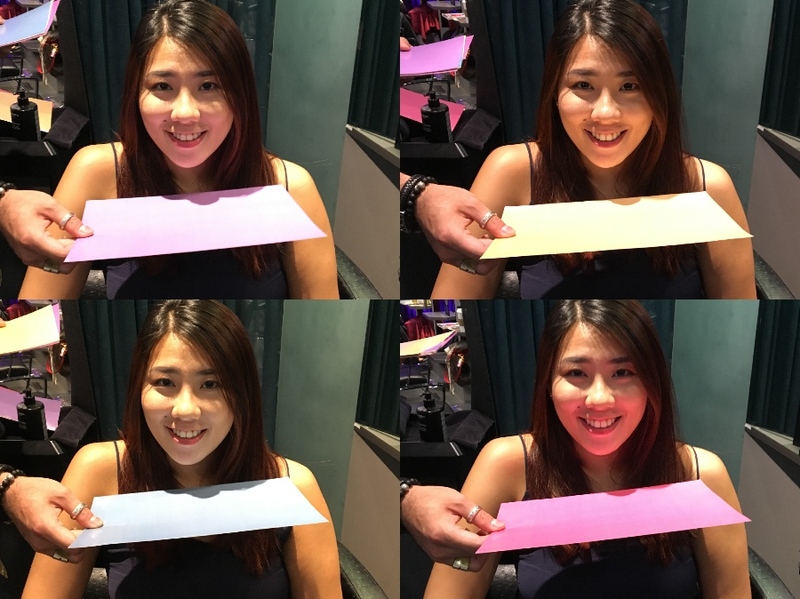 This is a hair colour diagnosis methodology that is designed for Asian skin tones and features. This concept was extremely intriguing to me, as it reminded me of colour theory for makeup. The brand director, Eugene, placed certain coloured sheets beneath the face to see how the facial structure and skin tone looks upon reflection of light from the sheet. As someone who has had red hair for the past for years, I was sad that red isn’t my most flattering shade. Red, upon reflection, tones down my bone structure and gives the illusion of a rounder and less defined jawline. Blue, on the other hand, makes my skin look sallow and dull. After a few more shades, we agreed that a warm toned yellow looks best on me. Thus, he decided to do a warm chocolate brown colour on my hair in addition to some highlights. I haven’t bleached my hair in a while so I was a tad apprehensive as I know how it can damage the hair strands. At chez vous, they incorporated the Goodwill Bondpro Protection Serum to the bleach so that it would not be as damaging which is good. The entire process of consultation, bleaching, application of dye and treatment took about 4 hours. I don’t think I have ever had such light coloured hair, and I’ll admit it took some getting use to. But now, it is definitely a welcomed change! We're almost half way through 2018! Can't believe it is May already and I am extremely excited for my Phuket trip at the end of the month. I do hope that your April went fantastic and let's see what May brings. 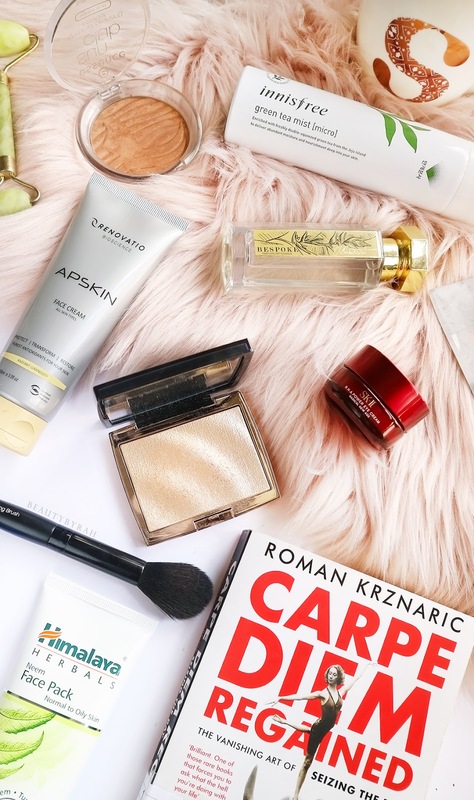 Are any of these products mentioned your favourite too? **PR/Gifted. Hair services was sponsored by Chez Vous for review consideration. I am not compensated or affiliated to the brand. The above review is based on my true and honest opinion and it also contains information from the brand itself.